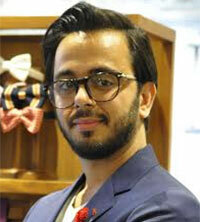 Sohel Lalvani, Co-Founder, Toniq Retail Brands, comes armed with a wealth of retail experience under his belt. Born and brought up in Mumbai, Lalvani earned a business degree from Jai Hind College, Mumbai, before moving to Dubai to investigate the retail industry. Having spent 4 years in the UAE setting up 32 retail stores in Dubai, Saudi Arabia, and Egypt from New Look to Reiss, Lalvani worked from the warehouse level right through to the shop floor, dabbling in marketing, sales and buying. In 2009, he moved back to his hometown to set up Toniq, a women’s accessories brand and Toniq Bags. Toniq Retail Brands that runs 4 accessories brands - Toniq, Pulse, Fida and Bro-Code was founded in 2010 by sister-brother duo Sonali and Sohel Jeet Lalvani with an aim to organise an unorganized men’s and women’s accessories market. With a young, fresh team, the company has invested a great deal of time and resources into R&D ensuring that each brand is up to date with international trends and have often been the first in India to introduce a number of unique categories. These brands sell not only through leading department stores such as Lifestyle and Central but are also available on the leading e-commerce websites like Jabong, Myntra, Amazon, Flipkart and Limeroad. How are homegrown brands such as yours carving a niche in the retail space? Gone are the days when foreign brands alone ruled the retail space. Young brands like ours, have a personality that our target audience can relate to. We offer a fresh perspective on fashion trends with an Indian touch- something that fast fashion companies fail to offer. How large is the unorganized men’s and women’s accessories market? What is the size of the market that you are addressing? Large portion of women’s accessories is still unorganized. The men’s fashion market is still relatively small in the country, especially in terms of accessories. We cater to the young, fashion savvy audience who are conscious of the global fashion scene. The opportunities are increased consumer awareness of global fashion trends, shopping made easy via e-commerce and social media portals, which has made it easier to connect with consumers at a personal level. The consumers crave for choice, which presents a brand the chance to gain brand loyalty. The challenges include fast changing trends, disorganized market and fragile nature of the products, which makes it prone to pilferage. The category is such that the value per unit is small, making it imperative for the sale quantity to be high, in order to have a high bill value. Not very often do brother-sister duo team up for a business venture. Walk us through how you began this venture and what is the roadmap? Will you continue to remain a single entity for the business or do you have plans to hive off divisions in future? We began our journey as Toniq with our focus on establishing a product, brand and company in the accessories segment. As we grew and added other brands, we re-branded ourselves as Toniq Retail Brands. It was essential to first set up a strong brand presence in the market before turning the attention on the co-founders. The company and brand is and will always remain of greater significance. Comment on your geographical presence. What are your expansion plans? Our brands are available pan-India in more than 136 retail locations, across metros and two tier cities. We are constantly expanding with our current retail partners and increasing our reach to newer cities. We also retail online via our websites and major leading platforms such as Myntra, Jabong and Limeroad. Our corporate office is based out of Mumbai and our regional office is located in Chennai. We employ close to 100 employees. What is the vision for your company? How are you planning to take this venture forward? Toniq Retail Brands was formed with a vision to offer consumers more than just a product. We seek to offer the fashion savvy Indian consumers, an avenue where they can get fashion at par with global standards. Having established 4 individual brands that cater to a different target audiences, we seek to become the go-to brand for the fashion conscious Indian. What is the ownership pattern? Any valuations done for the company? The brand is a sole proprietorship company. We are a completely self-funded brand. We have not undertaken any valuations activity till date. What is your marketing strategy? How much of your sales comes from departmental stores? What is the share from online? As a company, we follow a holistic approach to marketing. Most of our marketing strategies are focused on connecting with our target audience. To that effect, social media marketing plays a pivotal role in our overall strategy. We believe in an organic approach to marketing and are always on the lookout for new avenues to reach out to our audience.